This first major difference to be noted is the design of the heating element. Technicians were aware that a poor distribution of heat led to uneven hits and a rather “dry” taste. This goes against the very principles of the electronic cigarette. This replacement ceramic cCELL coil has taken technology to the next level thanks to a coil that is extremely porous and only 12 microns in thickness. The structure itself is also quite unique, as the coil has been sintered inside of its cylinder at a temperature of 1,200ºC. The result of such exacting precision is that even draws are now a reality and vapers can enjoy a full-flavoured taste. How does the cCELL Coil work? There are two other mechanisms which should be mentioned here. The first involves the distribution of the e-liquid within the coil. Another very common concern from vapers in the past was that the ejuice was not evenly distributed throughout the unit. This would again result in those notoriously “dry” hits. In addition, damage to the device itself may occur. Secondly, the structure of this internal coil guarantees that the heat from the coil is evenly sent within the liquid. This enhances flavor while preventing the unit from overheating. Is the cCELL built to last? Those who vape will often be very frustrated in terms of the lifespan of their ceramic replacement coils. Not only can this cost a significant amount of money over time, but it is equally inconvenient to try and find a difficult make and model on short notice. Much of the degradation of the coil can result from an uneven distribution of heat (eventually causing the coil to break). As mentioned in the last paragraph, advanced technology and uniform heat distribution have all but eliminated this scenario. Not only is the Vaporesso quite amenable priced, but it boasts a superior longevity when compared to other competitors. The end result is that e-cig users are able to enjoy their favorite vaporizer without having the need to constantly replace expensive coils. 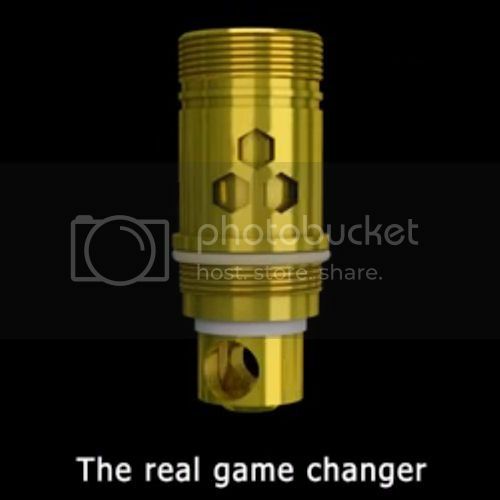 Many vaporizer users have complained that their coils do not entirely seal in the liquid. This will result in the fluid “leaking” back into one’s mouth. Such a substance is very unpleasant in terms of taste and a slight burning sensation can persist for an extended period of time. The five-piece design of the Vaporesso coil has eliminated these instances thanks to an engineered fit and exacting specifications. Spitting out any excess liquid is now a thing of the past. novices and experienced vape users. Next Post:Is There Good and Bad Nicotine?